Founded in 2017 by guitarist/singer Jeremy Perkins (Eohum), Montreal's trio WYKAN delivers a heavy brew with its touch of black metal, old stoner / psychedelic rock and blues. Blending these genres, the band evokes spirits of heavy riffs and hot amp tubes overridden and pushed to the limits soon to be heard on their debut EP "SOLACE" due out on April 13th. "After releasing very heavy black metal for 3+ yrs with my band Eohum, I wanted to return to blues and doom oriented music and expression, with atmosphere, blues solos and more feeling. Both Morgan Zwicker (drums) and Daniel Paras (bass) are distinct musicians / vocalists with jazz/blues backgrounds whom had the will to jump on board." says band founder Jeremy Perkins. 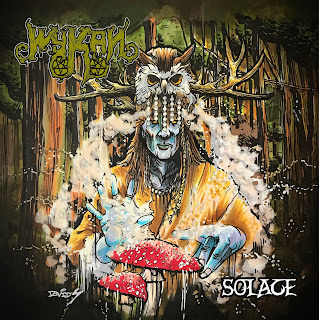 Hitting the jam space and recruiting some special guests Matt McGachy (Cryptopsy) and Barrie Butler (Eohum), WYKAN's debut EP "Solace" features three punishing tracks full of atmosphere and mystery where you can hear black metal rage meet the finest components of blues and harsh psych stoner riffs. The theme of the EP follows inspiration of Ethnobotany and magic along with a tribal take on ritual and ceremony. More specifically with the Northern European Tribes known as the Saami from Finland/Norway/Sweden areas of today and their usage of Amanita Muscaria mushroom for Shamanic practices. Overall, the EPs concept is a reminder of the brisk realities of our lives in relation to the spirit world. 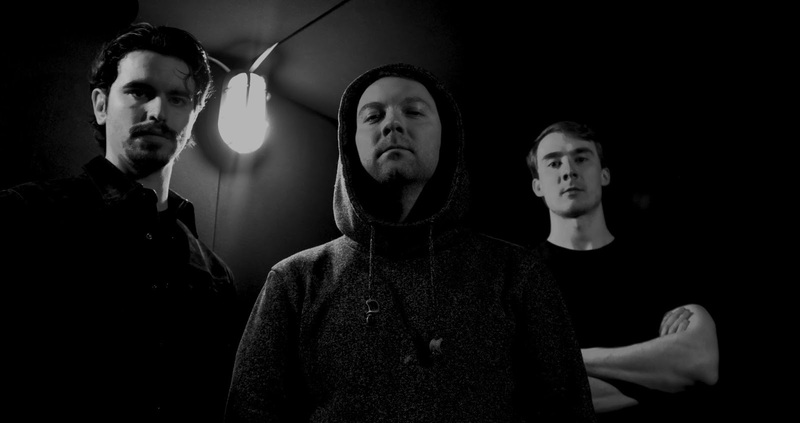 Teaming up with TheSludgelord, WYKAN are premiering their debut single "Lahppon Olmmos" (Noaide's Ride To Saivo)". “Solace" is available for pre-order at Bandcamp here. - Recorded & Mixed/Mastered at Silverwings Studios in Montreal Feb 2018 by Jonathan Lefrancois-Leduc.